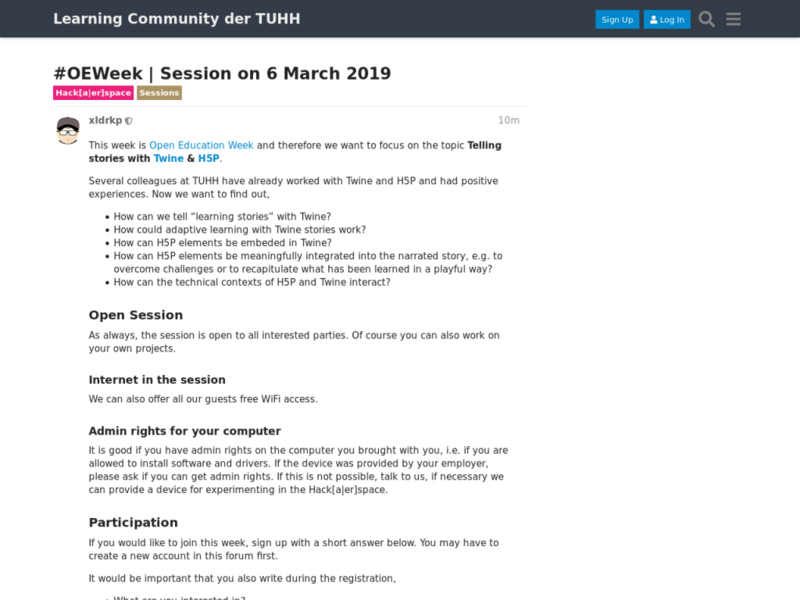 Several colleagues at our university have already had positive experiences with Twine and H5P. Now we want to find out, How can we tell "learning stories" with Twine?, How could adaptive learning with Twine stories work?, How can H5P elements be embeded in Twine?, How can H5P elements be meaningfully integrated into the narrated story, e.g. to overcome challenges or to recapitulate what has been learned in a playful way? - How can the technical contexts of H5P and Twine interact? As usual in the Hack[a|er]space, this will be a hands-on workshop. Own Your Brought Device!